I'm Ronnie Elrod of Elrod Septic Service, LLC. You need to know that we have the best prices in Southwest Florida. Sometimes the best business isn't located right down the street. What's important is that we come to Port Charlotte and we can provide you a better service and a better deal. Port Charlotte is at the heart of everything. We've got the Peace River waterway, the Charlotte Town Center, and Stone Crabs baseball at the Charlotte Sports Park. Additionally there are dozens of beaches in almost all directions. 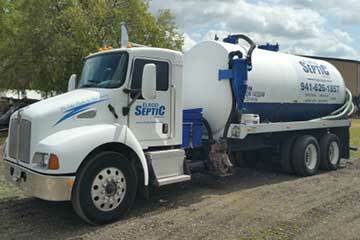 With lots of fun things to do I'm sure the last thing on your mind is getting septic service. But if it has been several years since you had a pump out, we encourage you to not wait until the last minute. Overflowing toilets can ruin your day. You can reach us for a free estimate at 941-626-1857. Use our contact form to the right if you prefer. Jim, our office manager will contact you to answer any questions you have.